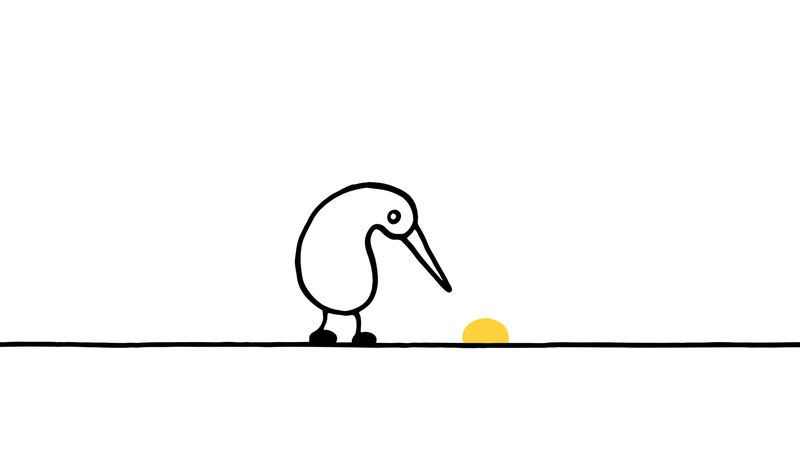 A kiwi tastes a golden nugget. It’s delicious. Andreas Hykade was born in 1968 in Altötting. From 1988-1990, he studied at the Academy of Fine Arts in Stuttgart, followed by studies at the Filmakademie Baden-Württemberg from 1992-1995. Since 1992, he has been working as a freelance filmmaker and since 2005 also as a professor at film schools. His works include: WE LIVED IN GRASS (1995), RING OF FIRE (2000), TOM & THE SLICE OF BREAD WITH STRAWBERRY JAM & HONEY (series, since 2003), THE RUNT (2006), LOVE & THEFT (2010), and NUGGETS (2014), among others.